Pastry, cakes, cook their own hands. selective focus. 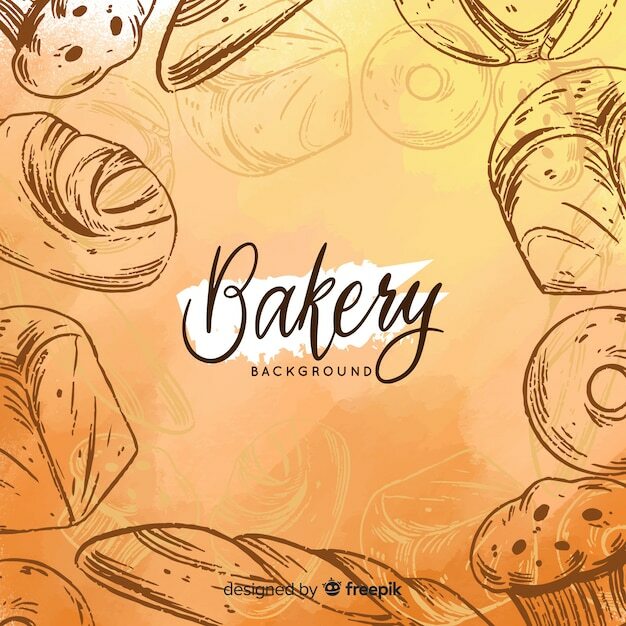 Bakery - gold rustic crusty loaves of bread and buns on black chalkboard background.